At Future Bodies Okehampton, it’s our job to make sure you are fit and healthy and getting the most out of your life. We strive to find the best workout and diet plans that suit your body type and lifestyle, all within our modern, state-of-the-art complex. We offer state-of-the-art gym equipment in a convenient location so there are no excuses for you not to exercise. Our instructors and personal trainers are highly qualified and experienced, ensuring that the moment you step inside Future Bodies you only receive the best. Whether a first time novice or an experienced gym goer, whether you want to gain muscle or improve your levels of fitness, or maybe you just want to shed a few pounds to look and feel your best for a special occasion, the question is why wait another day? Start working today to build the future body you deserve. 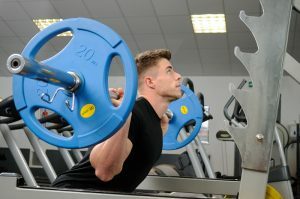 Offering a wide range of modern equipment, classes for different interests and abilities, and sports and health treatments, we hope to become part of your everyday routine whatever your fitness, weight training and wellbeing requirements. Our friendly, qualified staff are on hand to provide expert advice and encouragement to help you achieve your goals.